Miss Bolivia Joyce Prado has been stripped of her title and crown for being pregnant. The 22-year-old was dethroned for 'breach of contract' after she revealed that she was two months pregnant. 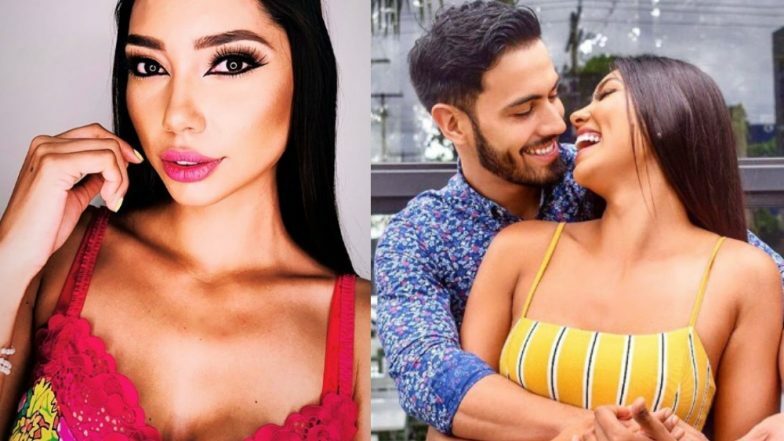 Miss Bolivia also confirmed that the rumours of her dating Paraguayan model Rodrigo Giménez was true and the duo are planning on getting married soon. Local media quoted Joyce as saying, "Yes, we are going to have a baby, we have the support of our families, we are both happy, I love Rodrigo and this news has brought us closer together. We do not have a wedding date, but hopefully it will be soon, we will take it easy we have the support of our families." On Friday, the agency that handles Joyce, Promociones Gloria announced that her Miss Santa Cruz and Miss Bolivia crowns had been withdrawn for "reasons that are strictly related to contractual breach". Miss Peru 2019 Found Drunk and Puking in Viral Video; Stripped of Her Crown and Won’t Be Able to Compete for Miss Universe Pageant. The couple often posts their PDA-filled moments on their social media handles. After the agency confirmed her removed, Prado confirmed her pregnancy on Instagram by posting a photo with her boyfriend on Instagram where she is seen holding a baby onesie. Prado represented Bolivia at Miss Universe 2018 held in Thailand, however, did not make it to the semi-finals. Filipina Catriona Elisa Gray had won the pageant last year. She became Miss Bolivia in 2018 and won Miss Tourism Bolivia in 2015. Talking about her wedding, Joyce said, "Speaking about her wedding she said, “We do not have a wedding date, but hopefully it will be soon, we will take it easy we have the support of our families."